© Joyce Le Mesurier. All rights reserved. 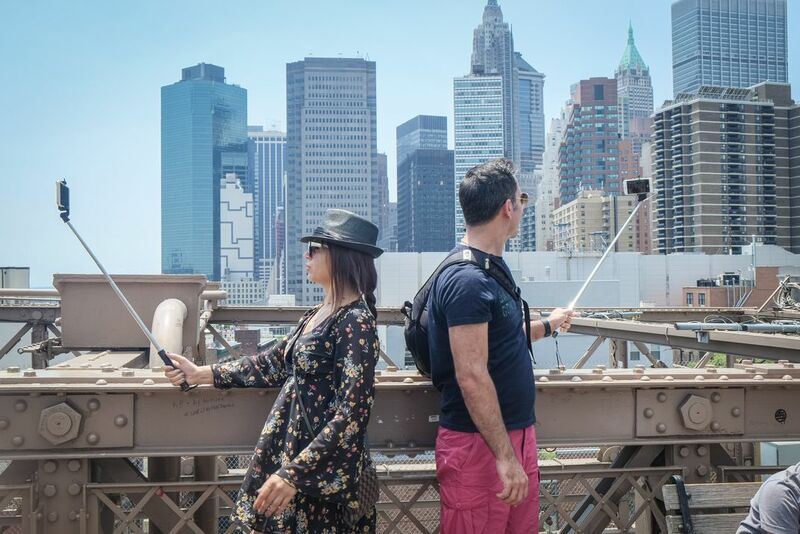 I was walking along Brooklyn Bridge with my daughter when I saw these two people, each holding a selfie stick, totally engrossed with recording the selfie. However, I then began to wonder why they were standing back to back --did they know each other? Were they an item? Were they each trying to capture a shot of the other ? Date Uploaded: Nov. 30, 2017, 11:05 a.m.